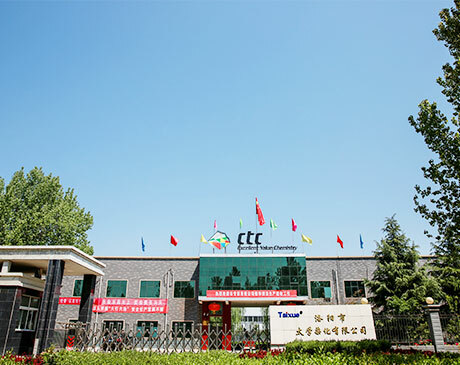 Taixue Dyes, Founded in 1987, is the profession manufacturing of wide range of Basic Dyestuffs, Direct Dyestuffs, and key pigments products in China. 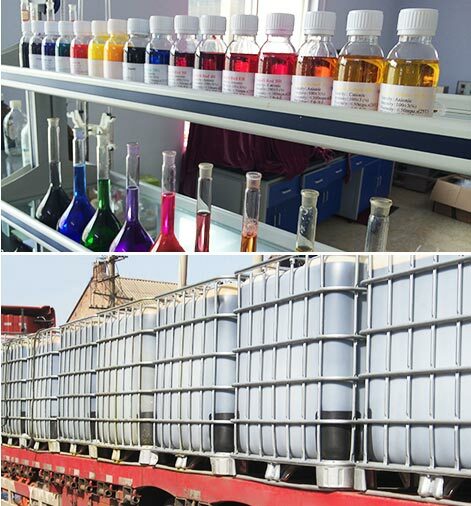 It has emerged as a prime manufacturer of high quality colourants (basic liquid dyes, direct powder dyes, direct liquid dyes & pigments) for Paper Industry. 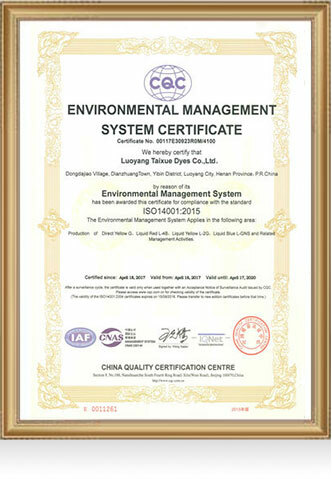 Taixue is committed to provide high quality products while preserving & protecting natural resources and the environment. 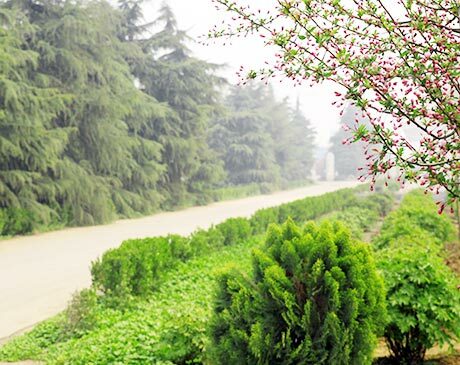 The advanced sewage treatment system was introduced at great cost from 2008 in order to environmental sustenance. The sewage treatment project, with an investment jointly by our company and the provincial Environmental Protection Bureau, has become the research base of industrial wastewater treatment techniques for the Pollution Control Division of the provincial Environmental Protection Bureau. 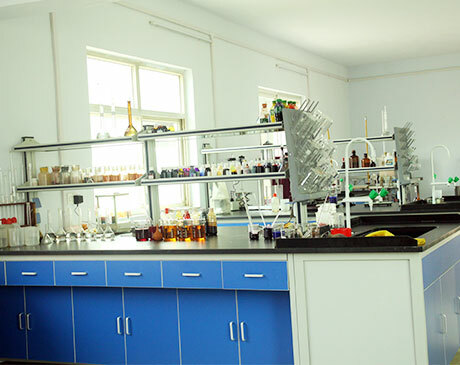 We focus on development and practical application of new products, and after over three decades’ accumulation, we have had development experimental equipment of complete professional and analytic technique now; In addition, we have a close relation to many domestic universities, and have built a development network system with internal and external linkage perfectly. The concept of environmental protection is implanted deeply into every link of research and development, production and manufacture by us. 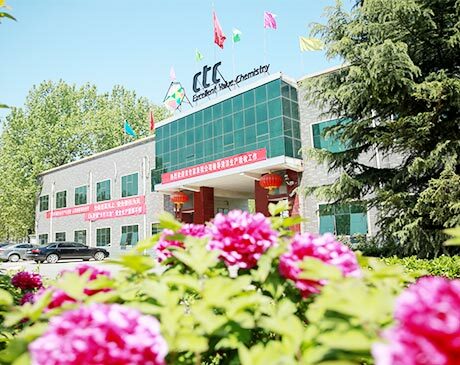 We rely on product quality and constant innovation and upgrade of service items to boost the harmonious development of human beings and environment. 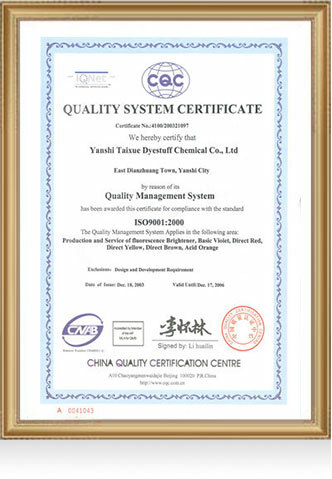 We adhere to the business concept of “NO BEST, JUST CAN BE BETTER, WE EFFORT CONSTANTLY!”, and build the brand “Taixue” with perfect products and service. 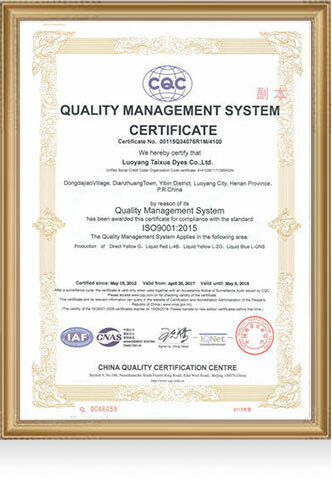 We adhere to the business concept of “NO BEST, JUST CAN BE BETTER, WE EFFORT CONSTANTLY!”, and build the brand “Taixue” with perfect products and service. Over 32 years experience and extensive industry knowledge. 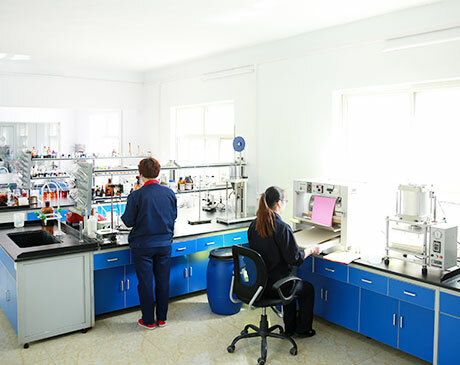 The sewage treatment project, with an investment of over RMB 19 million jointly by our company and the provincial Environmental Protection Bureau, has become the research base of industrial wastewater treatment techniques for the Pollution Control Division of the provincial Environmental Protection Bureau. We believe environmental protection is the foundation of achieving remarkable development for our company. The concept of environmental protection is implanted deeply into every link of research and development, production and manufacture by us. We rely on product quality and constant innovation and upgrade of service items to boost the harmonious development of human beings and environment. 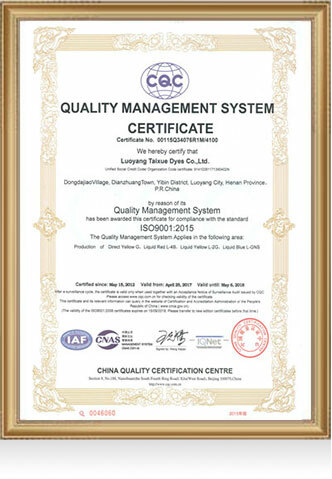 We adhere to the business concept of "There is no best only better, and we are making constant efforts", and build the brand "Taixue" with perfect products and service.